2019 is marking a big milestone for us — we have officially gone pan-Baltic and are proud to launch the first Startup Wise Guys program in Lithuania with 12 B2B SaaS startups! One of many programs to come with the help of EU funding and the group of active private investors. This batch is so far the largest we have had in terms of the number of startups, and also probably one of the most diverse ones in terms of business areas. From custom fit glasses, marketplaces for grain growers and drone pilots, to marketing and sales tools, electric vehicle charging platform and more. We have selected 12 startups from more than 300 applications. 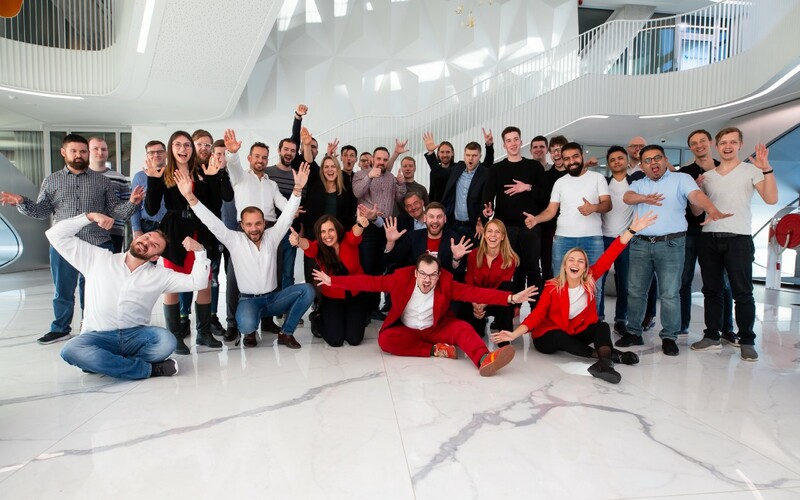 Lithuanian startups clearly had been waiting for an opportunity to accelerate at home, as there are multiple teams Lithuania, as well as startups from Latvia, Ukraine, Turkey and the Czech Republic. First time ever we are also having teams from Yemen, Macedonia and Azerbaijan. AgroPlatforma (Latvia) — First ever electronic B2B marketplace to connect grain growers and buyers to close deals online in Baltics and across Europe. H-Finance (Lithuania) — is the European digital lending company. HODL Finance issues loans backed by cryptocurrency and other digital assets. HangaarLab (Turkey) — HangaarLab develops Industrial AR Platform that helps enterprises increase productivity with wearable software and hardware. Houseys (Lithuania) — We maximise owner yield professionally managing apartments for short-term rent with our own and external tech tools. Meazy (Ukraine) — Fully automated remarketing platform made solely for e-commerce, helping turn visitors into buyers. Portal365 (Yemen) — NGO management software with a machine learning system for grant writing and management with cloud services. Qpick (Macedonia) — Qpick is an AdTech that helps small merchants advertise effectively and allows shoppers to shop in Tinder-like style. We have expanded our team and are happy to welcome on board Batch 14 Managing Director Jone Vaituleviciute from Lithuania with experience in international project management, focusing on startup and tech growth and financing. It probably was about time she became a SWG team member, as she has been mentoring our teams for years, also being Entrepreneur in Residence for one of the batches, and working on various joint projects from her previous employment at Civitta. Another great addition to our team is Batch 14 Program Manager Andra Bagdonaitė, who’s already got a hand on helping startups by previously working at Startup Division and on Soft-Landing project which helped startups scale internationally and build ecosystems. She will be making sure the program runs smoothly. Manager Director of previous two B2B SaaS batches Alexandra Balkova will join as Entrepreneur in Residence, and Startup Wise Guys Global CEO Cristobal Alonso will be accelerating the teams as the strategic driver. Startup Wise Guys accelerator in Lithuania is a part of the „Financial instrument „Accelerator fund, financed by European Regional Development Fund (or ERDF)“.